In order to gather the varied demand of customers, we are indulged in offering a broad range of Chewing Gum Wrapping Paper, which is designed in agreement with clients’ needs and requirements with use of excellent quality paper. Offered products are obtainable from us in different sizes and designs at low market prices. Hygienic Pack (OPC) Pvt. Ltd.
We are the noted organization highly engaged in offering a wide range of Shoe Wrapping Tissue Paper. The offered tissue is manufactured by our skilled professionals using top class pulp and innovative technology. Our offered tissue is available in various sizes, colors and other related specifications as per the clients need. Being one of the trusted organizations in the market, we are affianced in providing a wide range of Holographic Wrapping Paper. 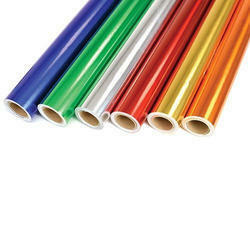 we are offering wide range of packing paper for our clients. Walki is a leading manufacturer of packaging for office and graphical papers, with decades of experience in the field. We co-operate with all of the major paper producers, who appreciate our top quality products, short lead times and cost-effective, innovative supply chain solutions. 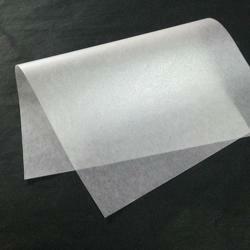 We have a variety of papers for packaging. We do multi color printing and coating as per customers requirements. These Gift Wrapping Papers and Gift Slips offered by us are available in different patterns and colors for different occasions. These are offered in the standard sizes, which makes them perfect for wrapping the gift of almost any size. These gift wrap papers are available in different kinds of papers as per the requirement of our clients. Handmade Wrapping Paper, Size: 22" X 30"
हाथ से बना रैपिंग पेपर साइज़: 22 "X 30"